Needle artist/mixed media artist Charlotte McDonnell designed and painted the canvas for Christmas Candy. While Charlotte and I were stitching with our Thursday stitching group, I shared with her that I wanted to stitch a Christmas canvas that incorporated different pieces of Christmas candy. I gave her a few ideas about the type of Christmas candy I was interested in seeing on the piece. Charlotte went to work to design the canvas. Kathy Fenchel worked with me to create a stitch guide. 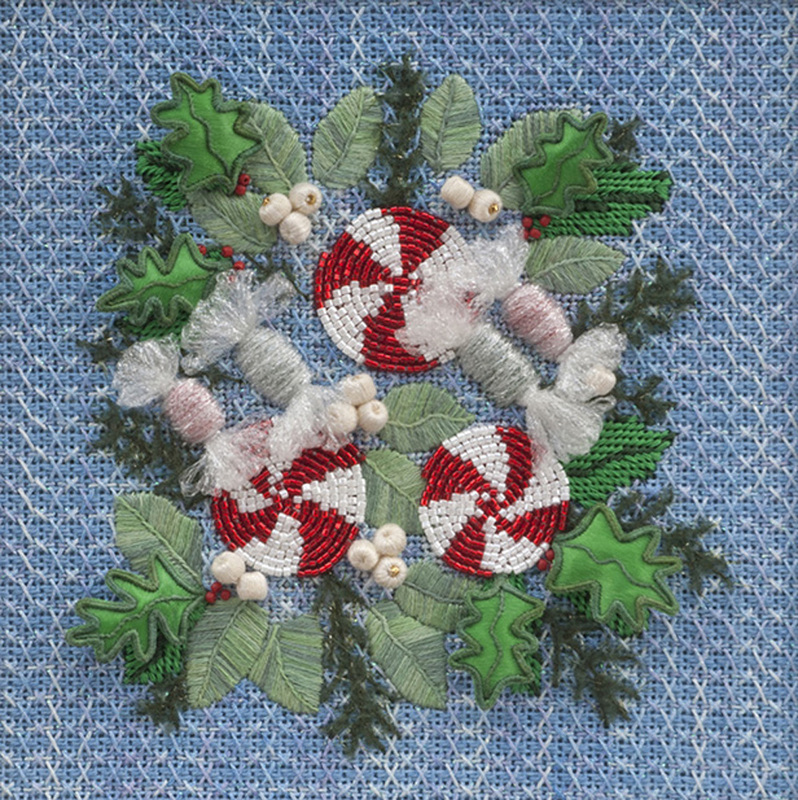 Christmas Candy incorporates needlepoint stitches with surface embroidery, stumpwork and beads, to create this dimensionally stitched Christmas piece. The piece is shiny and filled with bling, just what I like to see on my wall during Christmas time!